"This looks a more straightforward task so, all being well, he should be able to get off the mark for the season here..."
San Andreas isn't a typical Ballydoyle star on breeding but showed plenty up to a point on his debut here 3 weeks ago and should be able to improve enough to take this maiden. Dark Endeavour and newcomer Defilade also come into the reckoning. Chamrousse ran another promising race when second over 7f here last time and can go one better. 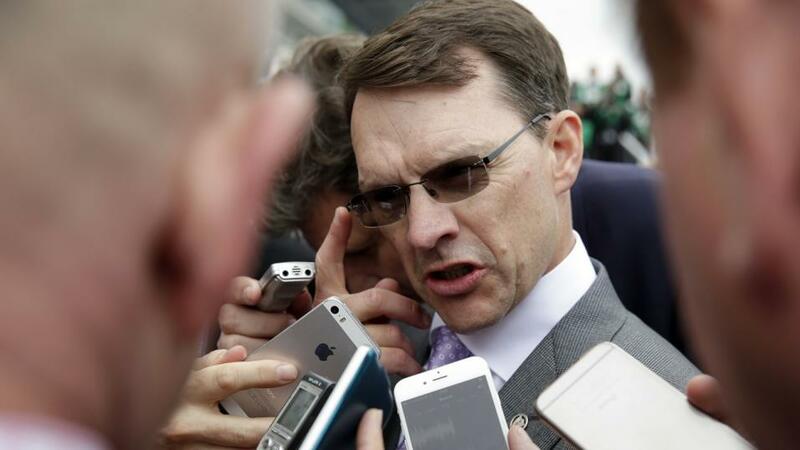 The Ballydoyle trio are all interesting, I Remember You perhaps the most at this stage. Recon Mission ran a stormer behind All The Kings Men at listed level a week ago and is probably still getting better, so this tough colt could outclass his rivals off top weight in this extremely competitive nursery. Archaelogy had a bit up his sleeve at Navan last time, so he can continue his upward curve along with fellow last-time-out winner Chestnut Express. This is wide open, but Army Recruit lacks the penalty that the bulk of his main rivals have to carry and he's certainly marked himself down as well capable of winning a race of this nature, so he gains the tentative vote to get off the mark at the expense of his stablemate Kestrel Prince and last-time-out winner Gustavus Weston. Making Light was off her game at Leopardstown last month but is a class act at this level if anywhere near her best and is taken to bounce back and notch a third win of the campaign. Moteo showed useful form on just her second start when third in this grade at Cork 11 days ago and likely has more to offer, while Espere will also be competitive if recapturing her best form. Gordon Elliott's Enzani was caught out by the drop back to 1m on his latest Flat start and can resume winning ways back up in trip. Castle Guest arrives on the back of good placed efforts at Leopardstown and the Curragh and can figure again, while Vastonea is another who has a few solid efforts to his name of late. Tudor City is banging on the door, finding only one too good having tanked through the race at the Curragh last time. This looks a more straightforward task so, all being well, he should be able to get off the mark for the season here, with Merited and Espoir D'Soleil likely to be on hand if he doesn't quite come up to expectations. Curly was well below par on AW last time but a return to the level she achieved when fourth in the Group 2 Blandford prior to that could be good enough to see her collect this listed prize. Panstarr was behind the selection in the Blandford but has a very solid record at this level, while Kalaxana was back on the up when third in a Group 3 last time and also merits plenty of respect.